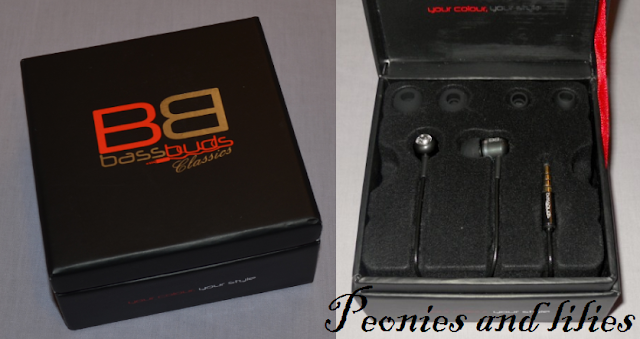 Delivery was very quick, and the Bassbuds earphones arrived in a smartly packaged in a matte black box. Being a bit of magpie, I was immediately drawn to the little Swarovski studs, which are embedded within the back of the earphone. It also comes with differently sized silicone and memory foam tips, a velvet pouch and a user manual. 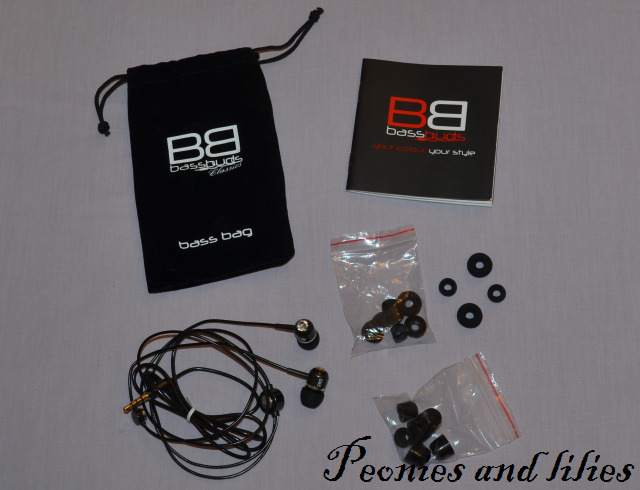 Unlike previous earphones, the interchangeable rubber tips are very soft and I found them to be far more comfortable. Sound quality was nice and clear, and as far as I could tell, there was no sound leakage. Bassbuds earphones have a mini control panel, where you can pause, play or skip songs at a touch of a button. All very useful, but I do feel that it lacks a volume control button. Generally speaking, I don't listen to music when I'm out and about, but these Bassbuds earphones do come in useful late at night. I tend to stay up till the early hours and these earphones mean I can still carry on watching movies without worrying about disturbing my flatmates. The velvet pouch is a nice little addition, especially as most people keep earphones in their handbag and there is nothing more annoying than dirty, tangled wires. Overall, I'm really impressed with these Bassbuds earphones. Price wise, they are on the expensive side, but if you're someone that uses earphones on a daily basis, then these are worth the investment in terms of comfort and sound quality. With over 20 colours and designs to choose from, they'd also be ideal as a last minute Christmas gift. 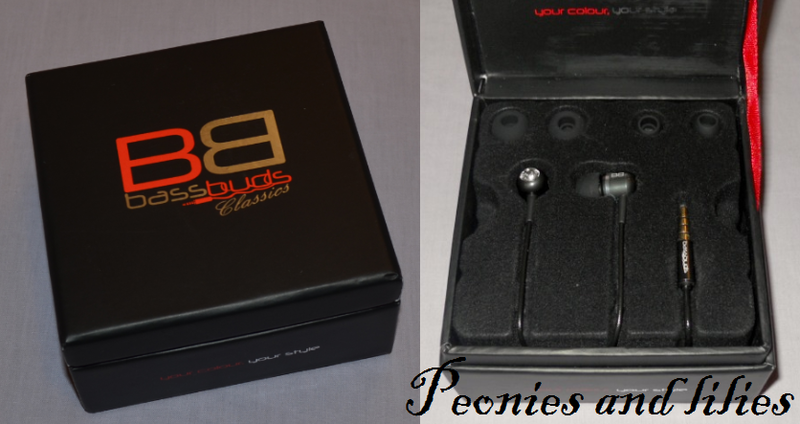 Bassbuds have kindly given me a discount code, so if you'd like to order your own pair, then make sure you use BB56289 for £5 off. Do you use earphones on a daily basis? What's your favourite brand? I am so SO impressed with these! I was so happy to receive the pink ones but I could not believe how well they blocked outside sound! These sounds great, I'm terrible for losing earphones though so I always go for cheapy ones!